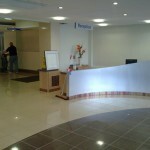 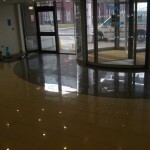 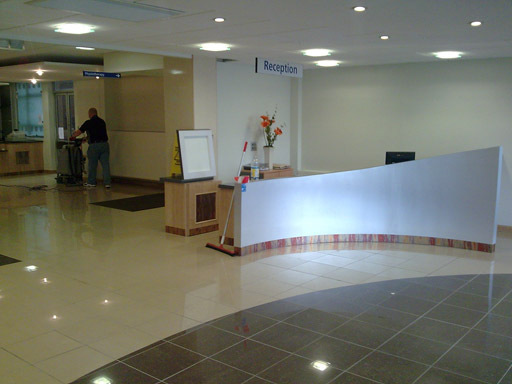 This hospital Reception area in Newcastle had serious health & safety problems due to the very slippery Porcelain floor tiles in the main entrance. 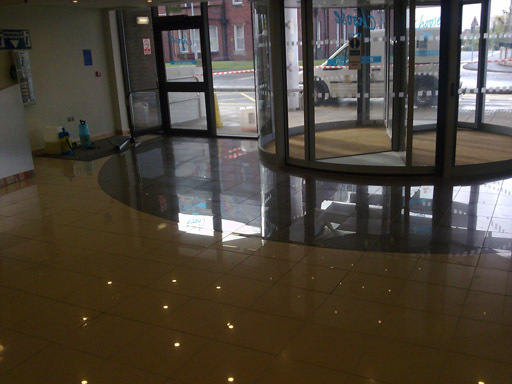 Pedestrians staff and patients entering the building were finding even the slightest amount of moisture on the floor was creating a serious slip hazard. 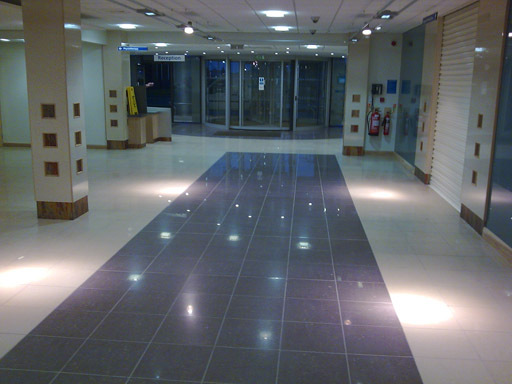 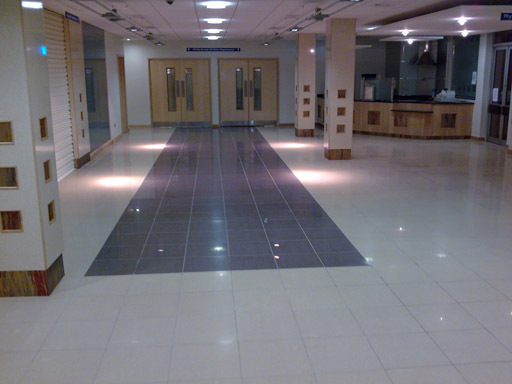 To create non slip porcelain tiles, one evening whilst the entrance was closed off the Porcelain tiles were treated with an invisible moisture reactive non slip treatment. 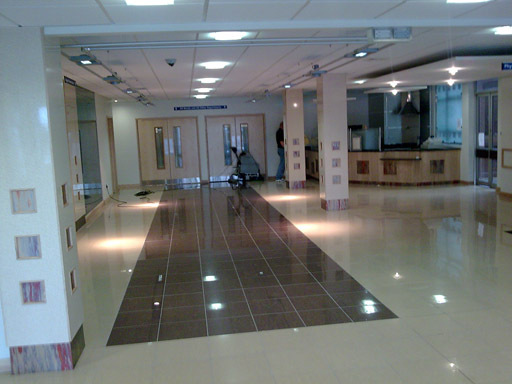 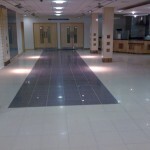 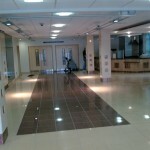 This was undertaken using scrubber dryer and wet vacuums with minimal noise or disruption to the hospital. 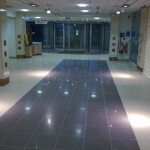 Once the work was completed the entrance was reopened immediately.